This isn't a lament because the Red Wings, and in particular goalie Jimmy Howard, have struggled so much in the shootout. When it first came into the play in the NHL during the mid-2000s, I was a big advocate of the shootout. And, no, I don't want it to go away completely. 1. Give the team winning in regulation three points, the team winning in overtime and/or a shootout two points and one point for an overtime or shootout loss. Too often teams play with little desperation at the end of regulation time and settle for a point, especially on the road. Regular season wins should be like gold. 2. Have overtime begin 4-on-4. After five minutes go to 3-on-3. 3. After 10 minutes of overtime play, go to the shootout. It would be a rare occasion overtime would get that far still tied 4-on-4 followed by 3-on-3. It would therefore bring back the unique aspect of the shootout, which is rapidly getting a bad name. There's a prevailing view that spring training doesn't matter other than getting players in shape for the season, making sure there are no injuries or those recovering from injuries are nursed to playing health. I took great amusement back in the day when Sparky Anderson would essentially declare a spring phenom. One of the great sports quotes of all time came from Sparky during spring training: "If you don't like Dave Rucker, you don't like ice cream." Only it wasn't so funny when players like Chris Pittaro, Mike Laga and Torey Lovullo didn't pan out after the Tigers went North. A rule of thumb from baseball scouts is the worst times to evaluate MLB talent is during spring training and September call ups, that minor league track records and April through August in the big leagues mean much more because most teams are still playing for something. Still, I do think this will be an interesting spring for Tigers' outfield prospect Steven Moya. They list the guy at 6-foot-7, but I swear he is taller than that. He is biggest position player I have ever seen that isn't a first baseman, and by far. He moves well, too, with at least average MLB running speed, and plus arm strength. His raw power is off the charts. Double-A is the most talented level of minor league baseball, Moya was nearly three years younger than the average player in the Eastern League last year and was the MVP. Moya hit 35 home runs. 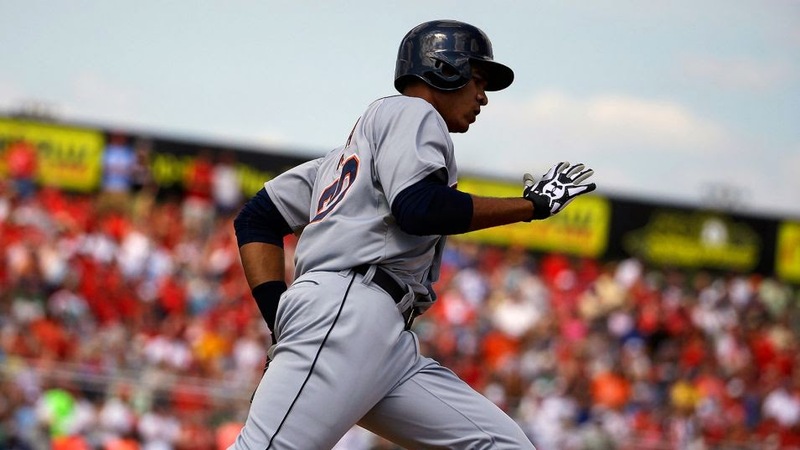 He's also a left-handed hitter in an organization that is lacking one as a genuine threat other than Victor Martinez. On the downside, he has a longer-than-ideal hitting stroke, and he had a poor walk-to-strikeout ratio. The former Tigers' player he remindful of is Tony Clark, albeit much more athletic and much less patient at the plate, at least to this point. When Moya comes up to the plate this spring, people will notice. It's his chance to showcase himself and play well enough that the Tigers are at least tempted to carry him North, or that if he does get off to a good start at Toledo, he will be first in mind should the Tigers struggle out of the gate. 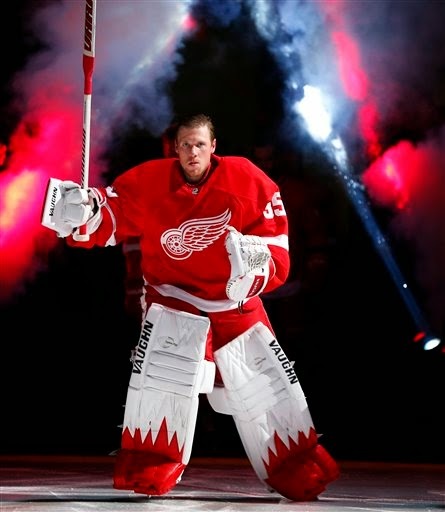 Petr Mrazek or Jimmy Howard? Would it be wiser for Red Wings' coach Mike Babcock to stick with the young Mrazek, who has played exceptionally well of late, or put back in veteran Jimmy Howard, who was having one of his best seasons before suffering a fluke groin injury in Washington? ﻿﻿Ultimately, I still think Howard will be the guy, but would understand if he is feeling a bit like Wally Pipp the day he was off and Lou Gehrig took over for the Yankees for 2,130 games. Mrazek is intriguing. There have been times his play has been spotty (he's been pulled from two games), but he does have a flair for the dramatic and the big save. Also, he appears better on breakaways and shootouts than Howard. One way or another, I don't see this as a problem for the Red Wings. Actually, it is a good thing. We saw that in 1996-97, the season the Red Wings finally broke through and won their first Stanley Cup championship in more than four decades. Chris Osgood was the primary goalie during the regular season. He was 10 games above .500, had a save percentage above 91 percent. 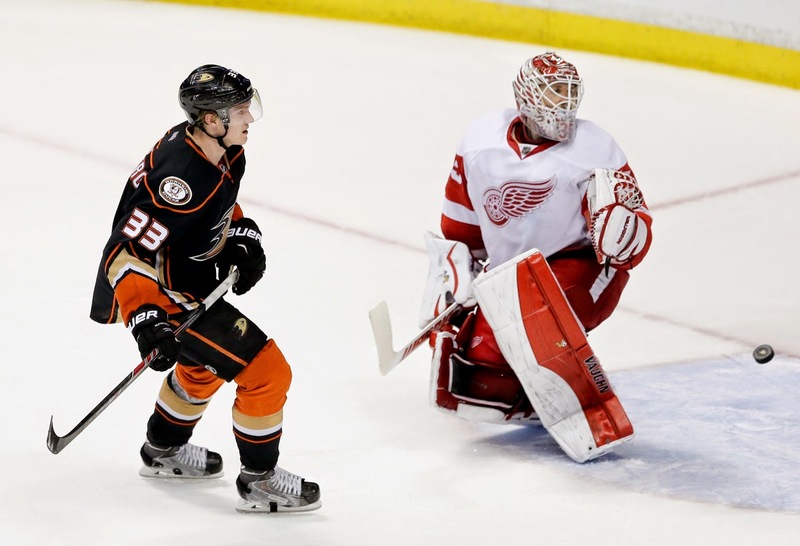 Mike Vernon was 13-11 with save percentage below 90 percent. 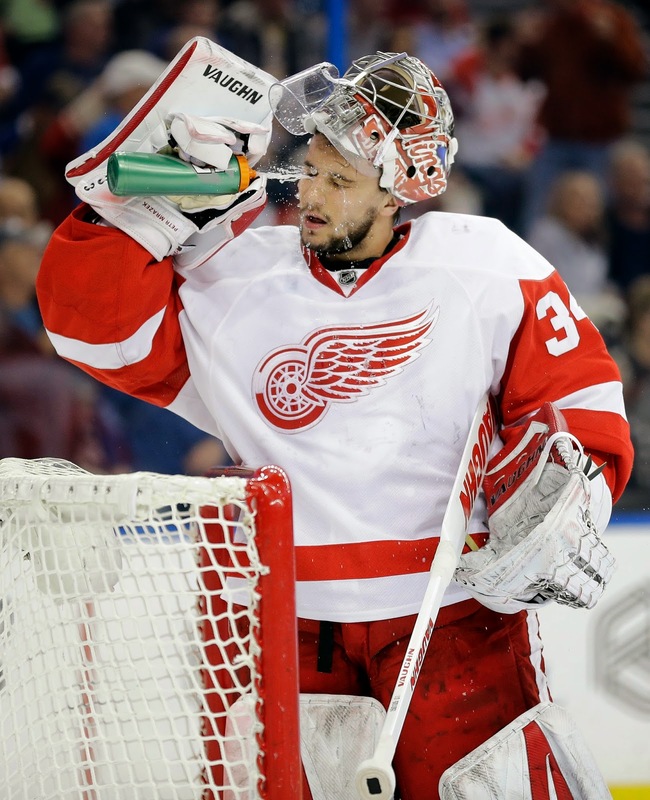 Vernon backstopped the Red Wings to the Cup. He had more wins in the playoffs (16) than the regular season. His save percentage was nearly 93 percent and he won the Conn Smythe Trophy. Coach Scotty Bowman simply rode the hot hand. A similar situation developed in 2008, the spring of the Red Wings' most recent Stanley Cup championship. Dominik Hasek was supposed to be the guy, and had a pretty good season despite injury issues, but Chris Osgood had a slightly better one. Hasek started the playoffs, struggled against Nashville, and, with the series tied two games, apiece Babcock didn't hesitate to change to Osgood, who had been re-acquired essentially off the NHL's scrap heap to be a backup a couple seasons before. Like Bowman before him, Babcock didn't make it complicated. He simply played the hot hand. He undoubtedly will do the same with Mrazek and Howard. I wouldn't sell Howard short. He has done well in the playoffs more times than not. He is a little more fundamentally sound than Mrazek at this stage when it comes to squaring up to the puck, although not nearly the same puckhandler. But it's a real simple case of may "the best goalie win." And in this case, it greatly increases the Red Wings' prospects of winning collectively. - Chris Matthews? Who is that? The political commentator on MSNBC? 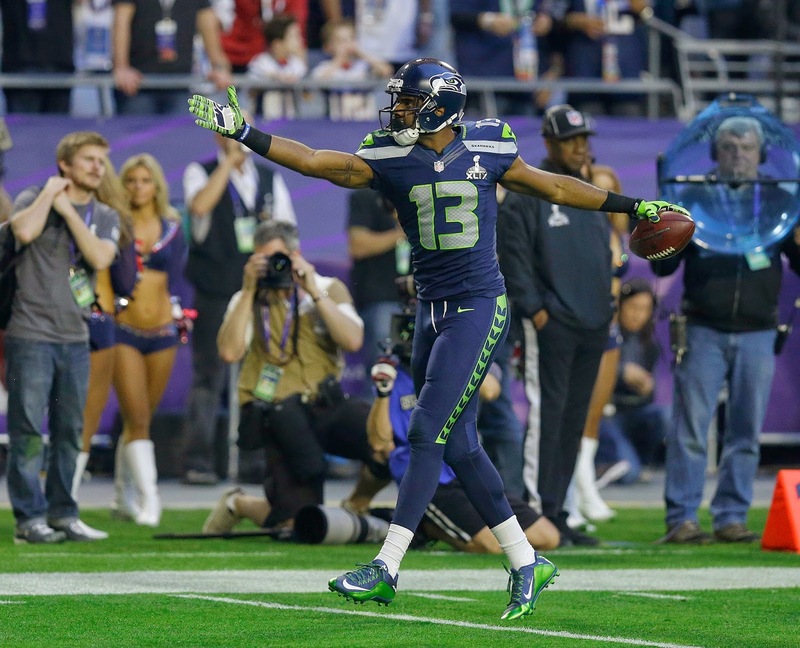 Lucky No.13 for the Seahawks. Biggest plays of the game so far, and from a player nobody thought about before this game, at least as a receiver. He did recover the key onside kick vs. Packers in NFC championship game. Guess he's a big-game player. Matthews is on the brink of becoming the most improbable Super Bowl hero in Super Bowl history. Unreal gamble by Pete Carroll to go for a TD in that spot. 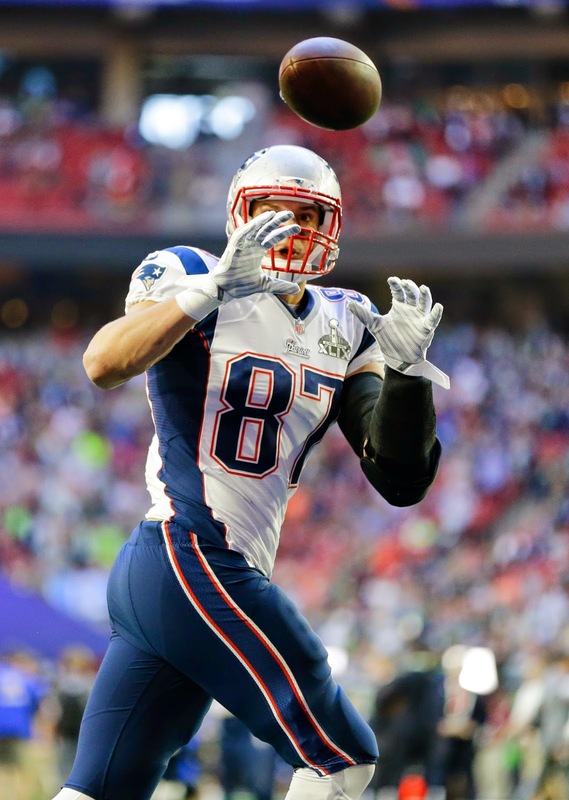 - Rob Gronkowski on a linebacker is a mismatch for the ages. That late TD by New England was like stealing candy from a baby for Tom Brady. - Until the catch by Matthews and the subsequent TD by Marshawn Lynch, the story of the game had been the Patriots' defense. It's better than has been given credit. - Love Cliff Avril. Great guy and very good player. But Lions' fans have seen that offsides routine many times before. - You have to give Russell Wilson credit. He has displayed the ability to fight back from adversity. Is he a great runner or what?Nice way to close an otherwise difficult half for the Seahawks' QB. - Brady getting picked off in the red zone of the Super Bowl just looked weird. Certainly, it wasn't a play on which he lived up to his considerable reputation. He looked like he simply ducked and chucked the football. Not typical at all. He made up for it with that shot into Brandon LaFell for a touchdown and the strike to Gronkowski to close the half. Still, you can see where Brady and the Patriots offense is having trouble with the Seahawks' defense. They aren't alone. 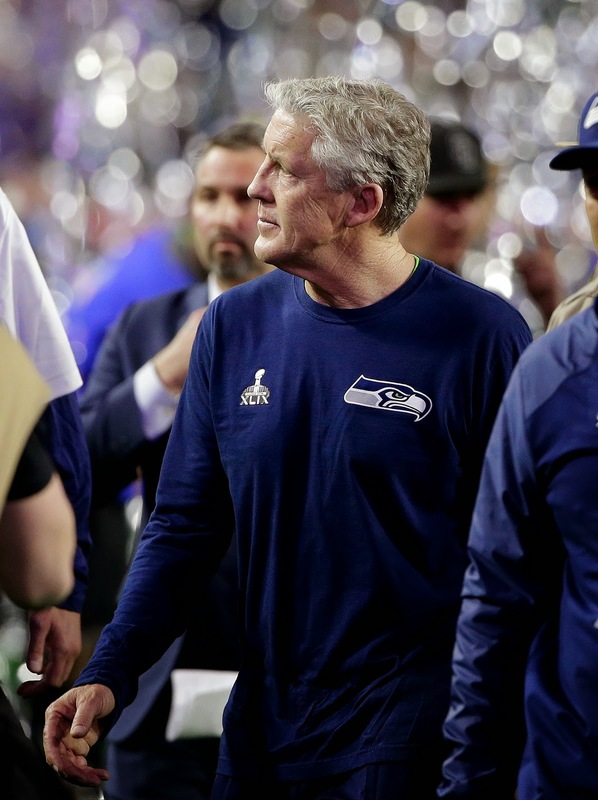 - So the officials blew it by not calling the 15-yard roughing the kicker penalty on the Seahawks in the first half. So what else is new? It wouldn't be the modern day NFL of Roger Goodell without something inexplicable going wrong. It might be a little harsh to suggest Michigan at Michigan State Saturday represented how far the mighty have fallen. But not only weren't the Wolverines nor the Spartans ranked in the latest AP Poll, neither squad garnered as much as a vote. Considering just last season both teams were in the Elite Eight in the NCAA tournament, Michigan won the Big Ten regular season title and MSU the Big Ten Tournament Championship, it was. well, different. Michigan did well to push the Spartans to overtime before losing 76-66 without either Caris LeVert and Derrick Walton Jr. - arguably the Wolverines two best players. Neither team features the top-line NBA prospects they had in the recent past, and MSU should beat Michigan based on the experience of key players such as Travis Trice, Branden Dawson, Denzel Valentine and Matt Costello. The Spartans are stronger inside, too, because Gavin Schilling is a gifted, if not consistent, big man. 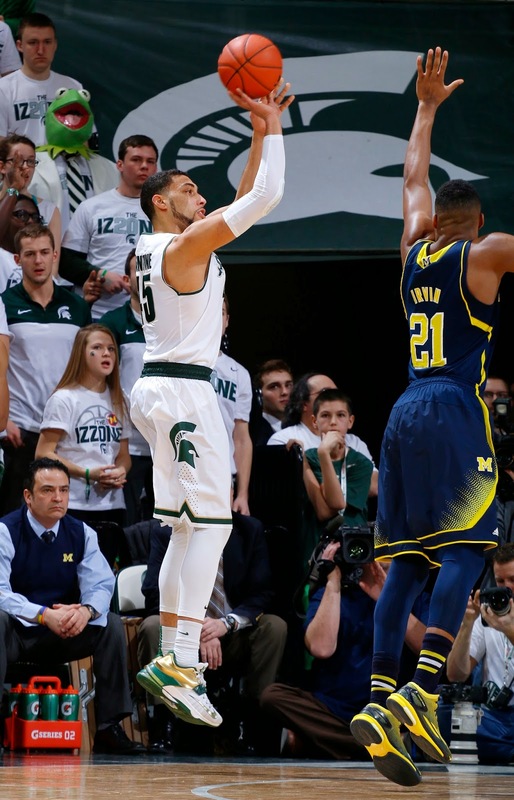 Saturday's game seemed to be kind of a continuation of Michigan coach John Beilein getting the most out of his team, while Tom Izzo is struggling to find a way with his Spartans. I do think the handwriting is on the wall for Michigan. The Wolverines are going to struggle to make the NCAA tournament. It was going to be difficult enough without the injuries, and Sunday was a bit like last Saturday's defeat to Wisconsin, a classic moral victory. If the Wolverines get into the Big Dance, the run will likely be short. But I do see some potential for growth for the Spartans. They are going to win 20-plus games. At 6-3 in the Big Ten, they could have a high placement in the conference regular season standings. Izzo has a well-established propensity for building to a crescendo late in the regular season and during tournament time. He has some pieces to work with, too. The keys are obvious. Valentine played very well Sunday, but he and Dawson and Trice simply have not developed that will that has been the trademark of the Spartans' upper classmen in the past. But there is still time. Don't be surprised if Izzo makes the most of it.